Travel to Peru and explore one of the Seven Wonders of the world in this itinerary that includes these fantastic destinations; Lima – a modern cosmopolitan city with a rich cultural legacy, Cuzco – capital of the Incan Empire, and Machu Picchu – an ancient architectural wonder set in the amazing natural surroundings of the Sacred Valley. 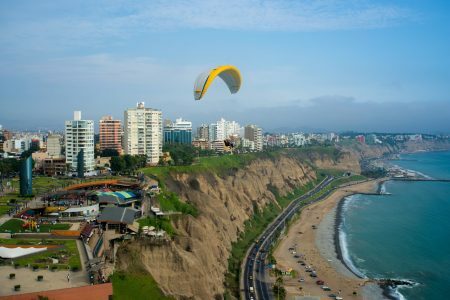 Lima is the only South American capital located on the coast and offers a rich variety of cuisines and experiences that are a must when in Peru. While Cuzco and the nearby Sacred Valley receive the majority of interest from travellers, Lima has come into its own right as a stand alone destination. This tour to Machu Picchu is fully flexible with departure dates and can be modified to your travel preferences, please contact us for an obligation free chat about what you are looking to experience in Peru. Arrival transfer from the airport to your hotel in Lima. The rest of the day is at your leisure. Overnight Lima. After breakfast there is a full day tour to explore Lima’s ancient history through its historical sites and museums. After lunch, visit the grandeur of the Torre Tagle Palace and Osambela House. Followed by one of the most visited tourist Museums in Lima, the Gold museum of Peru containing staggering displays of gold, silver, ceramics and artefacts from ancient Peru. This morning you will be taken to the airport to catch your flight from Lima to Cusco. (Flight Lima to Cuzco is not included in this package price). 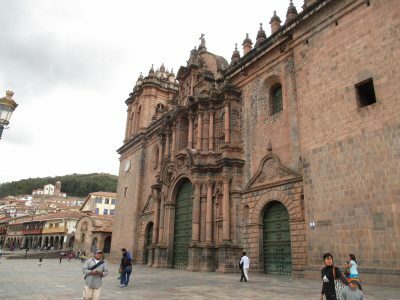 Cusco was the capital of the Inca Empire and has an elevation of 3,400m above sea level. We recommend you spend the rest of first day in Cusco at leisure to allow your body to adjust to the altitude. Cusco is also the archaeological capital of South America and for good reason. It is one of the most important destinations in Peru and the gateway to one of the world’s most sacred ruins of an amazing ancient culture. 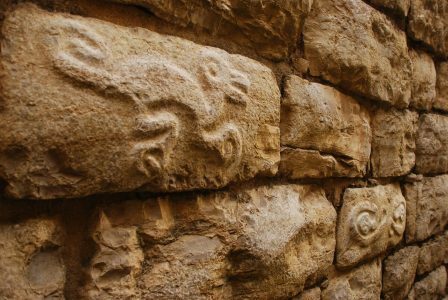 With a mix of Spanish and Ancient Incan cultures, there are cobble-stoned streets, interwoven stone walls, Incan buildings, Andean Baroque structures from the Colonial Period like the Cathedral. You can stroll through the picturesque neighbourhood of San Blas or dine in one of the many modern cafes, bars and restaurants. It’s an early start to the day with a full day sightseeing tour of Cusco. The tour today takes you to visit the Korikancha (Temple of the Sun), the Cathedral, and then continuing onto the nearby archaeological sites of the Tambomachay (Inca Fountains), Puca-Pukara (the red fortress), Qenko (Scared site) and finally the famous gigantic Inca fortress of Sacsayhuaman. Today you will have a full day sightseeing to the Sacred Valley of the Incas. The Scared Valley is home to some breathtaking towns and sites including Maras, Moray, the fortress of Ollantaytambo and Pisac. Seeing these ruins and visiting the towns will enlighten your knowledge of just how sophisticated the Incas were and an insight into their ancient way of life. Enjoy the sights at your leisure and perhaps visit the colourful market of Pisa. Machu Picchu is one of the main attractions when visiting Peru. Today is the day you will not only see Machu Picchu but you will breathe the magic and the beauty of Machu Picchu! Your full day Machu Picchu tour starts off with a transfer and train to Aguas Calientes for your bus ride up to Machu Picchu, this is an excellent option for those who do not have time to hike the Inca Trail or wish not to. Soak up the significance of your visit, enjoy the beautiful location and marvel in the intellect and architectural ability of the ancient Incan culture. It is amazing and spectacular just how appropriately located Machu Picchu is in its complimenting surroundings. The Inca Trail Walk can also be arranged for those wishing to experience the beautiful hike to Machu Picchu. Due to Machu Picchu’s popularity with all travellers, we suggest that you go back for a second visit early the following morning before the trains arrive with the day tours. Spending time in the lost city of the Incas, soaking up the atmosphere without the crowds is a real spiritual experience. Hotels are located in Aguas Calientes and there is the also an option to stay at the Orient Express Hotel at the entrance gate into Machu Picchu. Please advise if you would like us to quote for this. Also to consider is the climb up Huayna Picchu Mountain, tickets are limited and pre-booking is required. Please let us know if you wish to add it to your itinerary. After a relaxing morning in Machu Picchu or Aguas Calientes, we will take you back by train back to your Cusco hotel. On arrival into Cusco you have the remainder of the day to relax, dine, wander through the colourful markets or get last minute souvenirs to remember your time here. Today you’re in Cusco. Your Machu Picchu Explorer adventure concludes with a departure transfer to Cusco airport or train station. Travel Just 4U has competitive South America Flights to get you to the starting point of your chosen Holiday. Contact one of our Travel Consultants for a full quotation including airfares, stopovers and any additional travel you wish to organise. 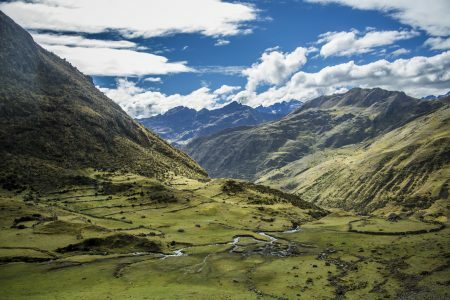 This suggested Peru travel itinerary will give you a feel for the country, with the visit to Machu Picchu a stand out highlight.